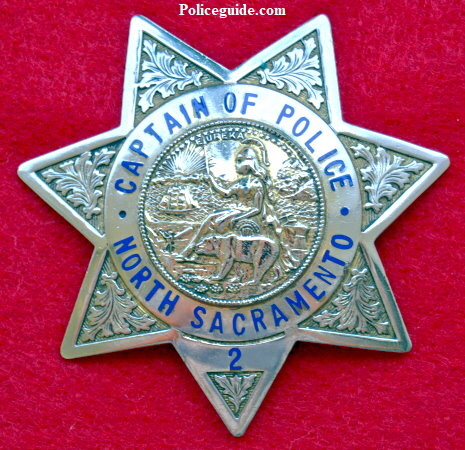 North Sacramento Police Captain of Police badge #2. 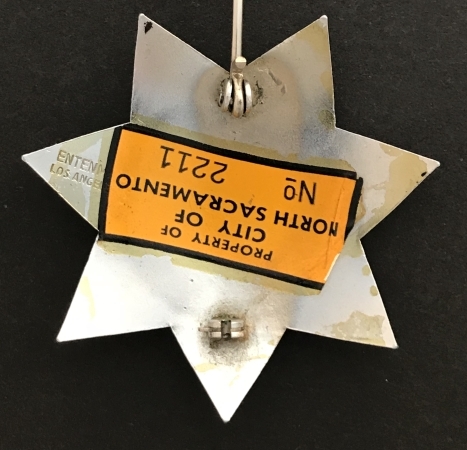 Hallmarked Geo. F. Cake Co. Berkeley, CAL. 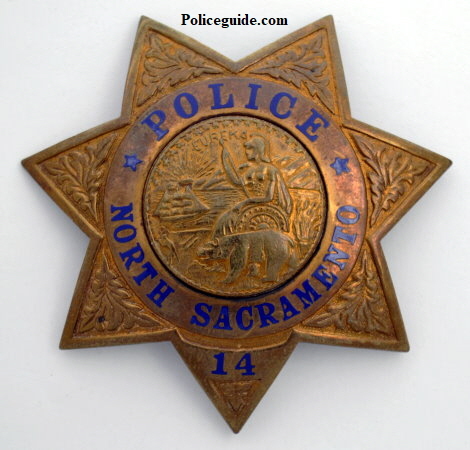 North Sacramento Police badge #14. 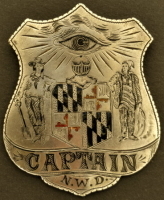 Hallmarked Entennman Los Angeles. 15. 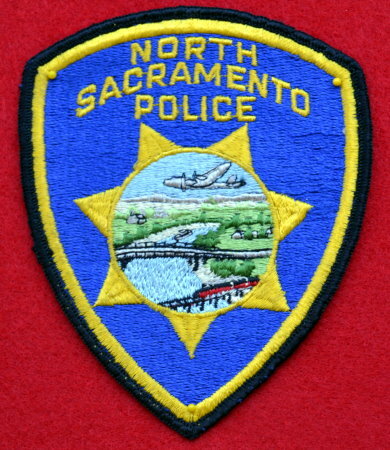 North Sacramento Police 2nd issue Patch. 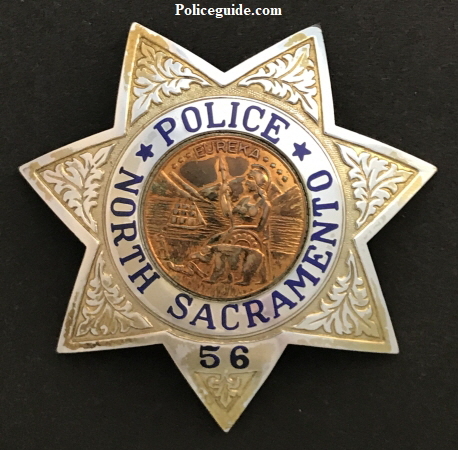 North Sacramento Police badge #78. 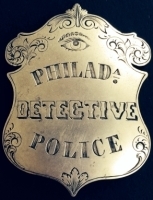 Hallmarked Entenmann Los Angeles. 15. 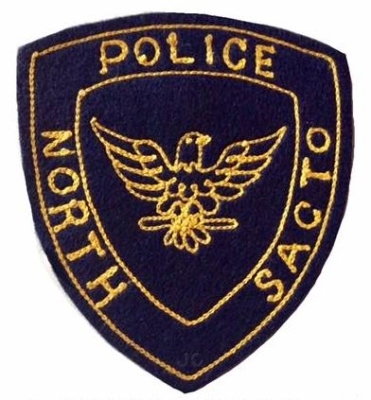 North Sacramento Police Department, 1st issue shoulder patch, circa 1949 . 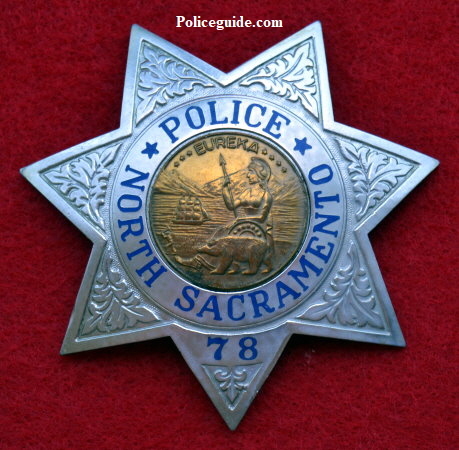 North Sacramento was an incorporated city from 1924 -1964 and had it's own police force. It was absorbed into the City of Sacramento by an election that was won by 6 votes. 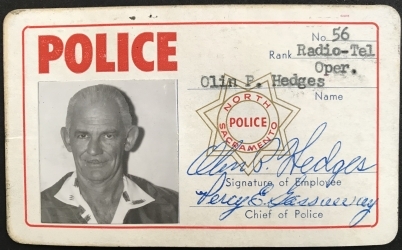 North Sacramento Police Department, badge #56 and ID card for Olin P. Hedges. 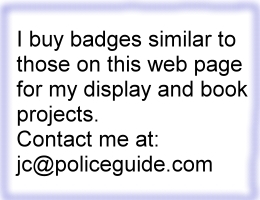 ID card No. 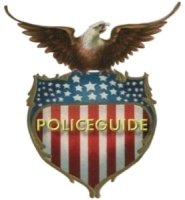 56 matches the badge number and Rank is Radio-Tel Oper. 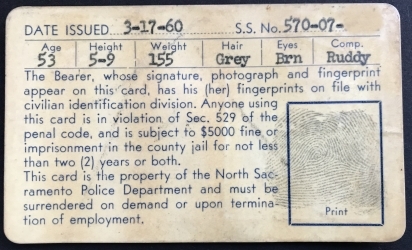 ID is signed by Chief Percy E. Gassaway and is dated 3-17-60.